Love and trust can bring great things. "His words said so much and yet so little"
Cecelia found out about our film through @kickstarter & contacted us about getting involved. We respected her privacy & didn't approach her. George is awesome! My first afternoon with him, I felt like I have known him for years. George was on every news channel for weeks after his crash. The attention was a distraction that turned out to be confusing & harmful. Walking on to these scenes is very, very hard. You want to help so bad, but in so many cases, nothing to do. I saw this a lot when I was a paramedic in my younger years. As Cecelia's oldest cousin #solesurvivorfilm is tough to watch. So many memories, sights, smells, emotions of visiting her in hospital. The plane Lamson was on crashed bcause pilots were distracted trying to figure out wht was causing a heavy vibration... an open access door. I can't wait to meet her George!! 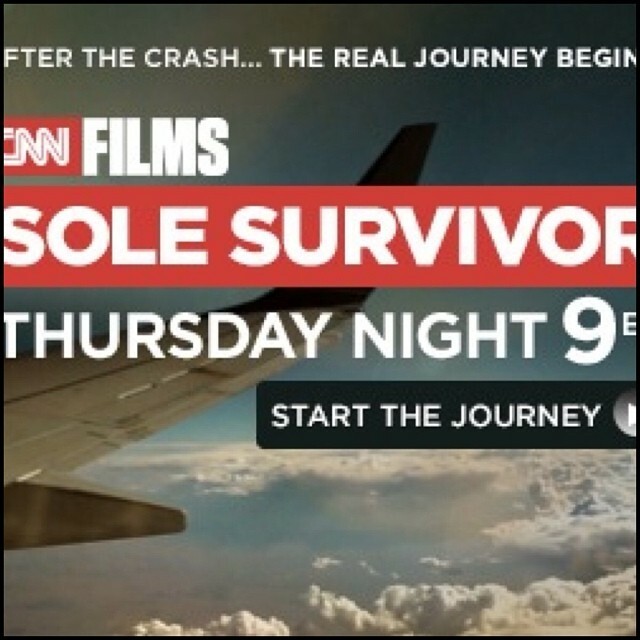 #SoleSurvivorFilm on #CNN is intense. #SoleSurvivorFilm amazing intro.... It really shows you what life is worth. Second chances. Indie filmmaking takes a lot of creative budgeting. We often shared hotel rooms and all piled into a car to drive to shoots.